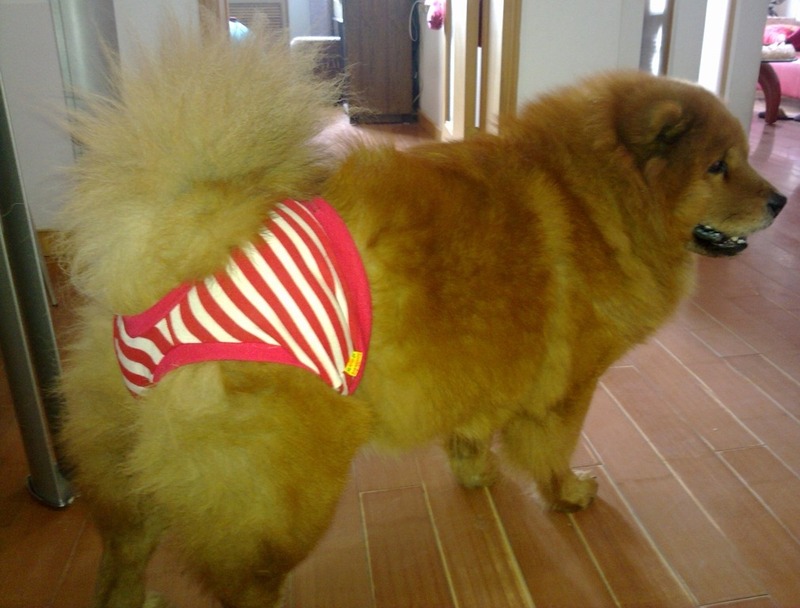 Our 3 year old chow chow is in heat. 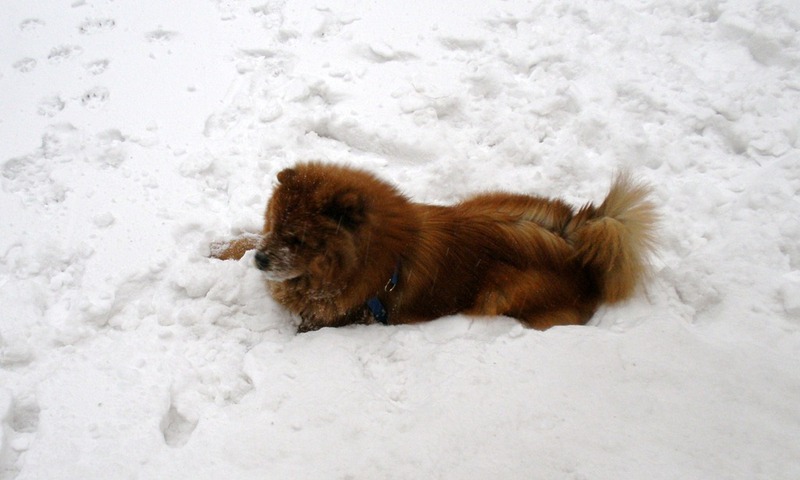 To prevent Santa our 1.1/2 year male chow chow from being a father. I make Teddy wear a pant with special padding around the genital area, hopefully this will prevent any incident and surprises. She is not Neutral yet. Reason being I am still observing our Male Santa’s characters. So far he has not exhibits any bad temperament. I am waiting for another year to firm up by decision. Teddy has proven that she will be a good mother: layback character, non aggressive temperament, gets along well with dogs that she likes. 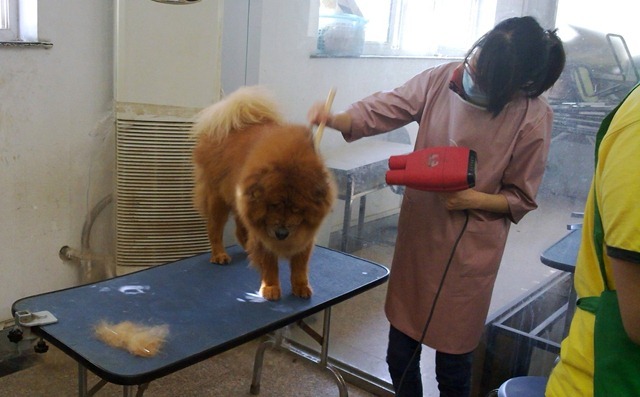 Highly socialized by now, will not disturb any passer by, just love to go about her own way—has a true chow chow independent character. Her only bad side is loves to chase cats and squirrel. Very protective in nature. For the past years she spend 1/2 a day in my office, and she will bark at courier or post man that venture into the office and follow them around. She stops barking once our office personnel acknowledge and greet the visitor. So far Santa exhibits his playfulness and shows no aggression to any strange dogs. Even strangers is able to pat him.Loved to be fondled. So far so good, will allow Santa to mate with Teddy, if by next year there is no dramatic change in character. Teddy used up this nice autumn Sunday of my- well have to look forward to the following Sunday to enjoy myself…. A good part of this Sunday morning was spend at the salon. Every 1.1/2mths is Teddy’s turn to be beautified into a sweet smelling dog. A small hassle developed when we reached the salon, this salon is within the Vet’s premises and also housed the dog hotel that Teddy spend 2nights a fortnight ago. 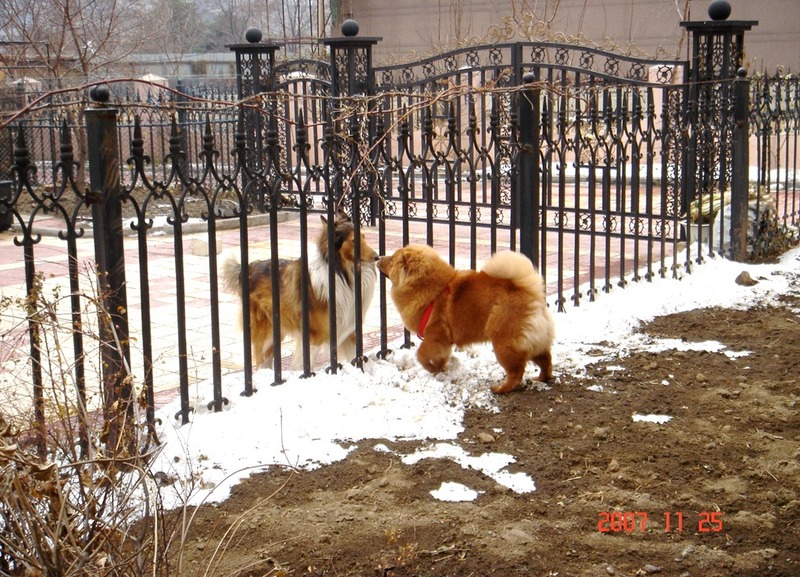 It appears that Teddy remember this place, and will not go pass the main door. Have to calm her down, fortunately the Groomer that had been taking care of Teddy for the past 3 years was around in the main hall, she walks over and Teddy started to relax. Since Teddy needs slightly more than an 1hr at the salon, managed to hop over to the nearby Supermarket to replenished our weekly requirement. The hall where the payout counter is located is full of dogs and their owners. Have to command Teddy to sit while I pay the bill. When I called out to Teddy to “Sit and wait”,Some of the dog owners started to stared at me with a puzzled look. Your dog understands English ?, why do you used English to speak to your dog ?. Have to explain that I am not a Chinese national. HO.. you have a clever dog that understand English, have to explain that training her with constant repetition of a word they will associated a particular word to an action. A dog is able to associated a particular unique tone to a required action. and language does not come into play. Not to be exhausted with more questions , quickly pay up and leave. People in china now is more outward looking, foreigner is now not an unique breed. Relocated myself to China after the Asian financial crises 11years ago,as a overseas Chinese from Singapore, moving to china armed with a vocabulary of no more than 100 Chinese words, life was tough going during the initial stage. For the past weeks and expects another 2 more weeks of grooming work. Teddy is now in the midst of changing her coat of fur for the coming winter. Every other day I am brushing off 2-3 large balls of hair. Shedding during this period is severe. Have to vacuum the house every day to remove all the shedding. Luckily Santa had his hair cropped 3 months ago due to his rashes, if not we will be faced with 2 heavy shedders. If I had keep all her shredded hair ,I will have enough stuffing to make a small pillow. she is now at her prime age of 3 years. To-date. Teddy has not disappointed us. She makes a good companion with her mild temperament. The following list per temperament that make us feeling contented. Does not approach and disturb or pay attention to passer by during her walk around- Her favourite activities during her walk is to smell every niche and corners. she even ignore other dogs. She stop playing with other dogs as she grows up. Displays a loner altitude once she pass her 2nd years. A relative quick learner, she is now able to understand a fair amount of words and understand our body language very well. Communication with her is like speaking to a 3/4 years child. Many of her actions amazes me , I had been pondering whether some of her action is self taught. 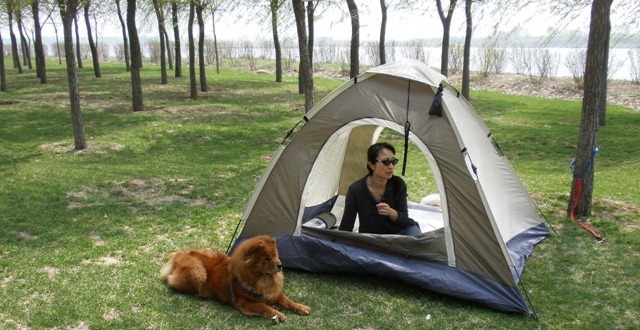 Example: Whenever my wife raises her voice ( which she does often when she is not happy with our son’s behaviour)- Teddy will immediately snug her body against my wife and lift her front pawl and tap her legs. Teddy has saved my son from this telling off situation every time through this action. Teddy’s action will cool Michelle(my wife) down instantly, she will start to pat Teddy on the head and start to comfort Teddy. On one occasion Michelle was sitting when she lost her temper with my son, Teddy snug her head between Michelle’s thigh and tap her pawl against her lap. This action is like a sedative, Michelle cools down and started to rub teddy head, and the telling off session stops. 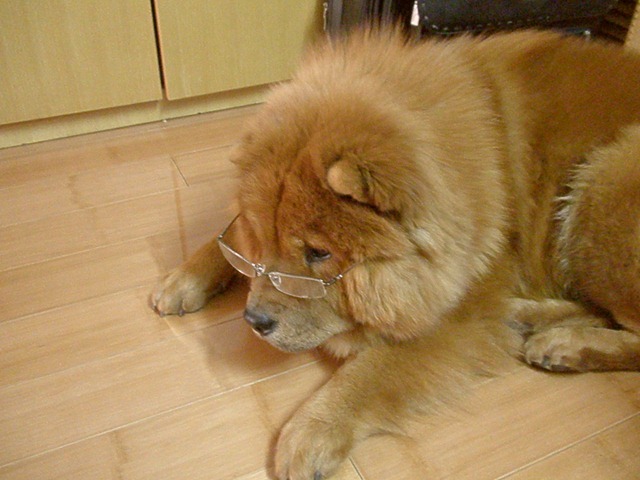 In all the articles that I read on chow chow dogs, most deplete the chow as a one man dog. I think this statement stands to be corrected. When I am not in town, Michelle is able to handle Teddy without problem, taking teddy out for a walk does not pose a problem to her. Teddy obeys her command /instruction. Every evening when my sons returns back from school, teddy will follow him to his room,what transpired in this room is puzzle. Teddy loves her family members. Teddy favourite activities : car rides, outing to the countryside, playing in the snow, chasing after squirrels and cats. Her Dislikes: Wet and muddy places, nosey dogs, person or passerby wearing black cloths- in the evening or under dim conditions-she will growls at passerby who is in black. going to the groomer. Health : She is perfect condition, she visits the vet only for her yearly jab. Has a very shiny coat of fur and does not smell. Clean breath. Good guard dog: Barks her head off whenever a stranger approaches the door. BUT calms down once we greet the visitors and tell her “its OK”. a short smelling session at the visitors legs and she will back off. Calm and is willing to be left alone: Just speaking to her “Teddy stay and sleep” is a signal to her that we are leaving the house and she is to stay behind. NO big deal- she will just slop down and does the sphinx crouch and watch us leave. Teddy came into our family on the 5th of May 2007. She was chosen from a litter of 4. 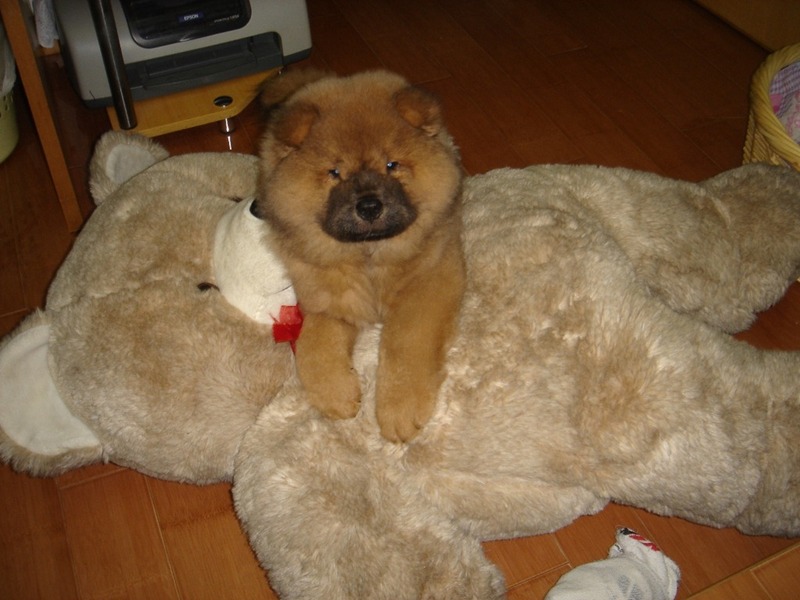 What makes me chose her(our 1st chow chow). 2) Constantly climbs over the other pups in the cage—dominant character. 3) when held up towards my face to established eye contact- did not shy away, in fact she even started to lip my face.—does not display any timidity, this is what I like. Physical check: ears: nice pink colour- no black spot and no unpleasant smell. Eye: does not display eyelid abnormality (Entropion). Limps and postures: Ask my wife to lure pup towards her while I watch to see if there is any abnormality on the limps—none. Wife likes Teddy- so be it—she is ours. To reduce any stress and anxiety—I brought a towel and rub the tower against the body of the other pubs. Wrap Teddy with the tower and sleep with ease during the car trip back home. The process of the towel against the body of her littermate- is to help her fell comfortable and a sense of security, as she is being separated from her litter mate. This is important during the first few nights in a new environment( our home)- the smell will put Teddy at ease, A tip given to me by a class mate of my back home. Teddy’s behaviour and my observation of the changes from pup to adolescent . Her black nose with a large puffy head makes her look like a Teddy bear- we give her this name because of her look . From Hindsight I notice that she “house broke faster” than Santa. There was no accident after the 2 week, even during this period the only accidents was urinating she had not pooch in the house since day one. Pre-caution taken from day one helps. When we brought her back from the breeder, she was given only 1/2hr to browse and smell around the house. Thereafter , brought her out to the garden on a lash and move around until she make her 1st water hole.- gave her a pat her on head as a praise. Guide her around around the garden letting her enjoy her sniffing and smelling of very bush and corners. The moment she finished her 1st dinner in our house, immediately open the door and signal to her to come by clapping my hand. During this initial orientation stage- when she does not even know her name – only sound and action is effective, being a 50days old pup,is it natural for her to follow the handler. Once she is out, guide her to the spot that she had make her 1st watering hole, before long she will pooch. The moment I woke up the next morning,- clapped me hand to signal her to the door and let her out, this time lash free, soon nature take over. Once she finished her job,called her name and and clapping the hand will make her comes back, time to give a pat and a body rub to show my appreciation,but I will not carry her up, at this stage any sudden lifting off the ground might shock her. she will rushs out, this time I need only to stand in front of the door and let her take her time to sniff and does her great Bombs away. By repeating the same procedure it will be her natural routine in a week. The timing of bring a new pup home is important , as I have to work and does not have the pleasure of taking long leave. My wife and I took her home on a Thursday afternoon, this will give me time to orientate her during the weekend, with only 1.1/2day off from work. With 3 meals a day +1 trip before breakfast and 1 trip before bed, and the standard outing every hour on the hour I can safely say, routine will be set by Monday morning. However she was not allowed to move the gate of our house until she had all her jabs. which literally means a confinement of 1month. To their family they offer their protective instinct and devotion.